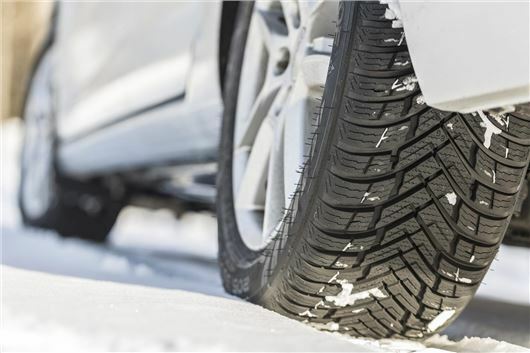 Nokian’s new Weatherproof All Season tyres have won a very comprehensive Auto Express comparative tyre test carried out in the Arctic Circle and Germany against five other All Season tyres. These are all basically cold weather tyres reformulated for all year round use, whereas Michelin Cross Climate are summer warm weather tyres reformulated for winter use. Additionally two dedicated cold weather tyres were tested. Conclusion: Nokian Weatherproof tyres are an excellent compromise for all season use, and so are Michelin Cross Climate. But Goodyear Vector 4 Seasons are still very good too, and a lot of drivers swear by Pirelli Cinturato All Season and Vredestein Quatrac. It should be emphasised that Nokian makes a full range of Weatherproof all season tyres including specific Weatherproof tyres for SUVs.